Bremen (renewablepress) - Deutsche Windtechnik's multi-brand expertise is gaining wider recognition with operators as well as investors. During the last six weeks of this year, for example, the independent maintenance company was able to conclude comprehensive service contracts for a wide range of plant technologies, including Vestas (V90, V47, V44), Siemens (SWT 2.3), Enercon (E-82, E-70 and E-48), Nordex (N117, N80, N60), Senvion (3.4M, 3.2M, MM92, MD77 and MD70) as well as Fuhrländer (FL77) and NEG Micon (NM 72). By the end of the year, Deutsche Windtechnik will be responsible for the maintenance of a total of 3,578 wind turbines worldwide. The contracts include full and basic maintenance. Some of them will begin in 2018, however most will start at the beginning of 2019, and a few will begin even later. "Our customers appreciate having their entire wind power portfolios, or at least large portions of them, managed by a single service provider. This is very clear with our international customers, who can now benefit from our growing system expertise worldwide in a wide variety of markets. But our wide-ranging system expertise also offers advantages at the national level when it comes to efficiently designing interfaces and reducing costs as well as taking individual customer requirements into account. Our view of maintenance increasingly spans multiple technologies, we share knowledge and experience across various disciplines, and we create synergies in the areas of IT technologies, logistics, spare parts management, deployment planning, education and training, and much more!" said Matthias Brandt, Board Director at Deutsche Windtechnik. 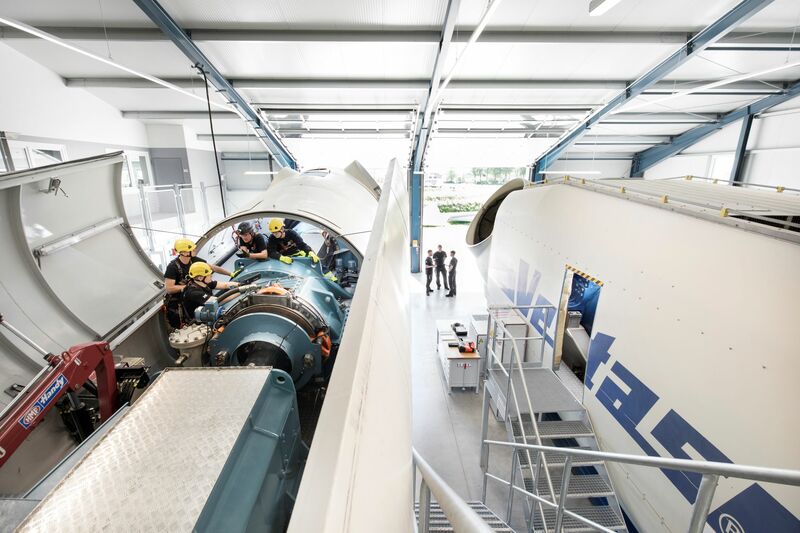 Deutsche Windtechnik's multi-brand competence is also clearly evident at the company's Training Center in Viöl: Five fully functional nacelles installed on the ground from the manufacturers Vestas, NEG Micon, Enercon, AN Bonus and a MD70 turbine (which was largely identical built by the manufacturers Repower / Senvion, Nordex / Südwind and Fuhrländer) ensure ideal conditions for high-quallity training and further education for Deutsche Windtechnik's service technicians. The Training Center is available to employees from all over the world, and this year alone more than 2,000 participants were trained at the facility. There are also increasingly selected training courses for operators. Bremen-based Deutsche Windtechnik AG offers a single-source full technical maintenance package for wind turbines in Europe, the USA and Taiwan. The company operates both onshore and offshore. More than 3,400 wind turbines are serviced by over 1,100 employees worldwide as part of permanent maintenance contracts (basic and full maintenance). Its system engineering focuses on Vestas/NEG Micon, Siemens/AN Bonus, Nordex, Senvion, Fuhrländer, Gamesa and Enercon turbines. The Training Center ensures the multi-brand service quality of Deutsche Windtechnik in the long term. Change in the Board of Directors at OutSmart B.V.